sometimes, dodger cards are harder to find than others. 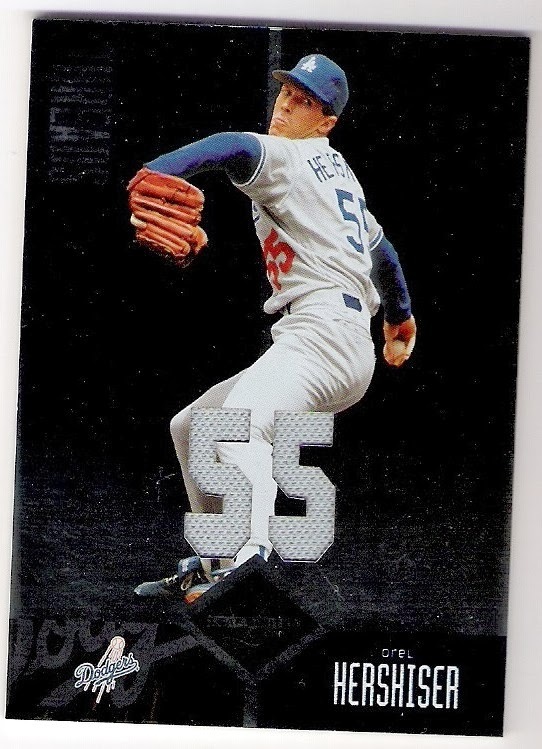 specifically, dodger cards that show dodgers but list a different team on them. online checklists that are built by team affiliation won't always tell the full story. 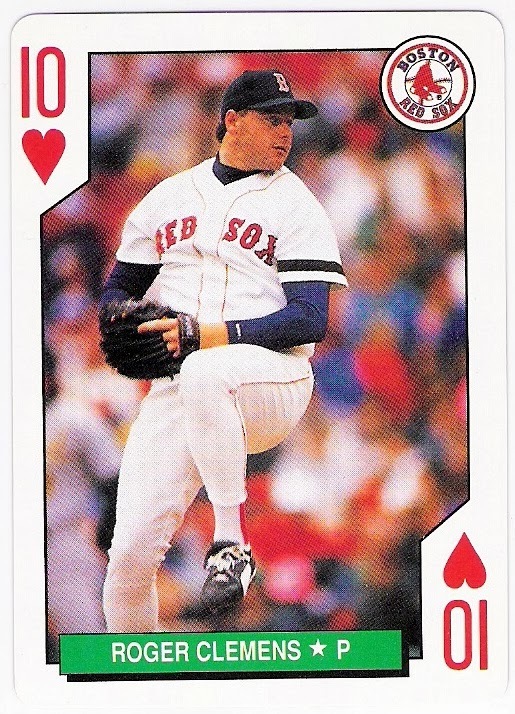 that's when you must rely on the kindness of strangers, the randomness of dime boxes, and the occasional lucky glimpse in an online card shop. 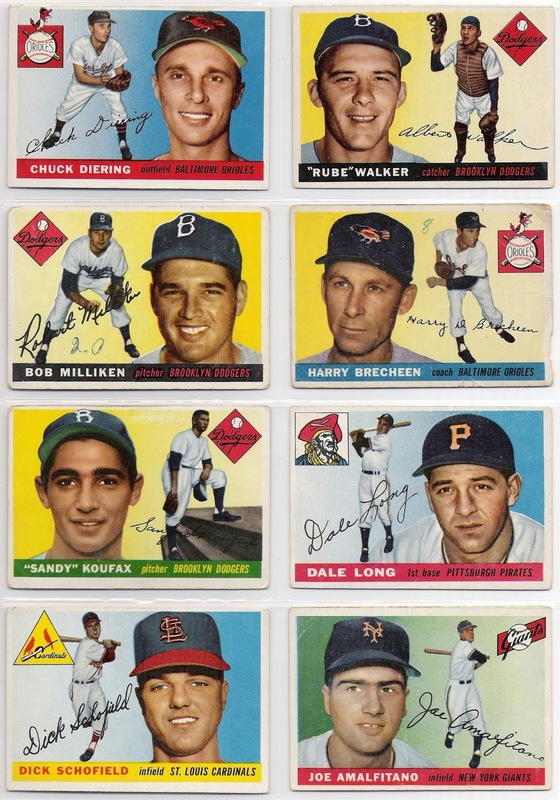 this post features cards from each of these sources. 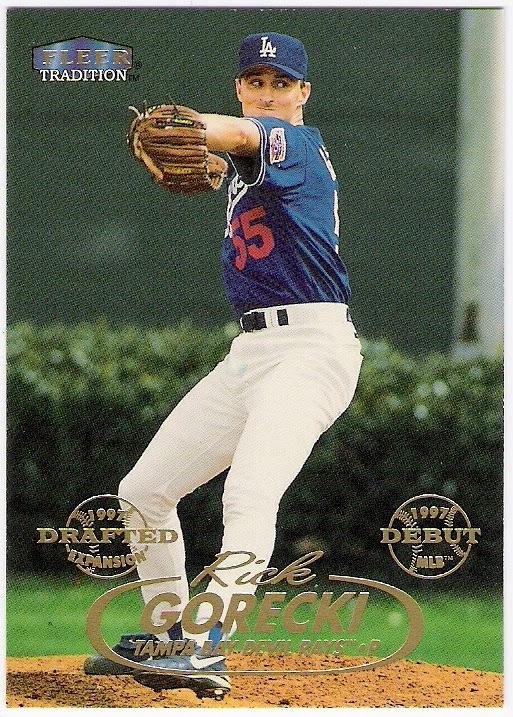 gorecki was selected by the devil rays in the expansion draft following the 1997 season. 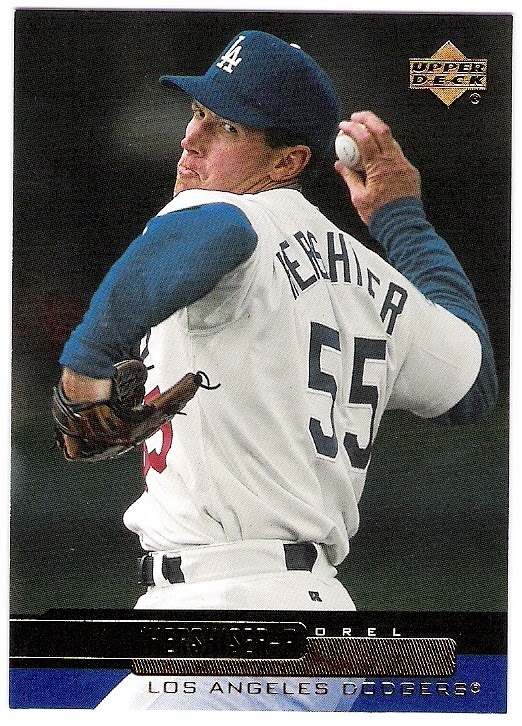 he appeared in 4 games for the dodgers in '97, finishing his dodger tenure with a 1-0 record despite a 15.00 era. he wound up making 3 starts for tampa bay in 1998 and was 1-2 in those starts. looks like he got injured and that was all she wrote. mcandrew was the dodgers' first round pick in 1989, but he never threw a pitch for them. as the donruss card indicates, he was selected by the marlins in the expansion draft prior to the 1993 season. however, he never pitched for them, either. the fish traded him to milwaukee just before the season began. 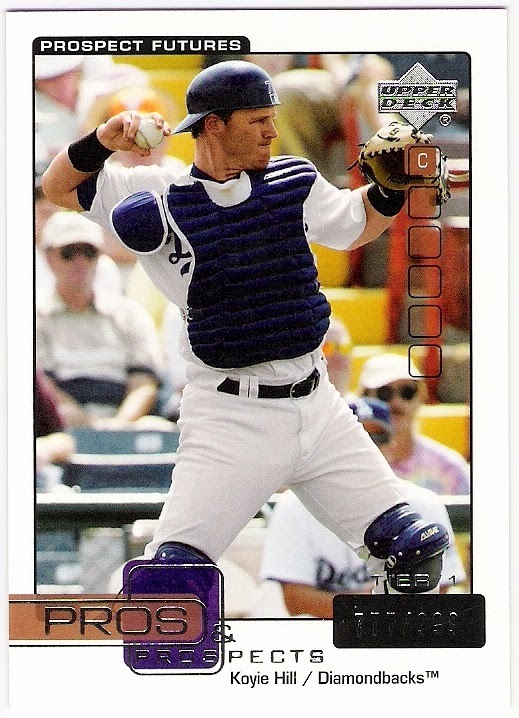 mcandrew wound up appearing for the brewers in both the 1995 and 1997 seasons, but his career, like gorecki's, was cut short by injuries. 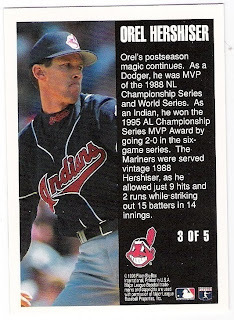 this mondesi card is pretty close to some classic o-pee-chee. 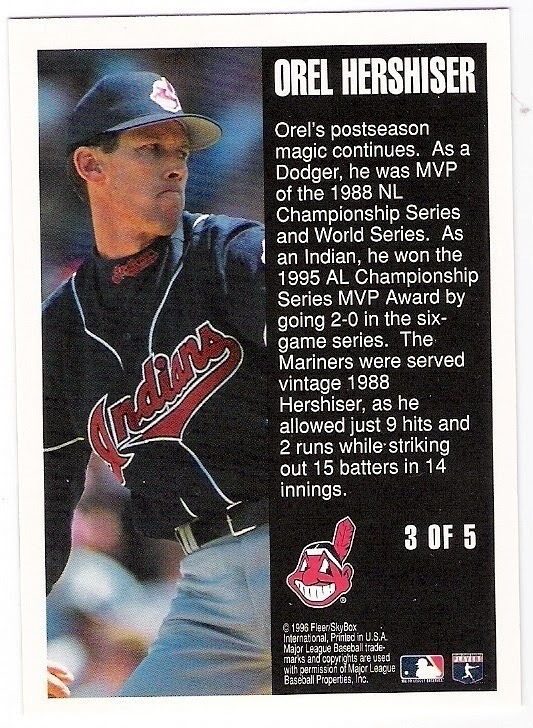 'traded to' text and the new team's logo (in this case the blue jays) brings back some good memories of o-pee-chee variations. 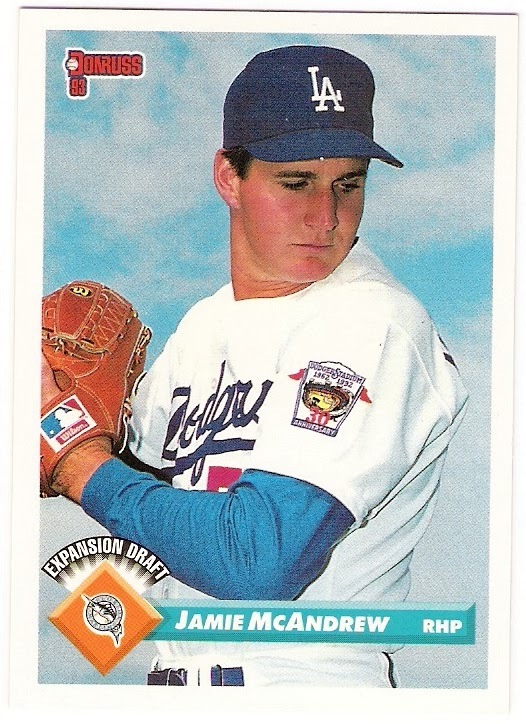 there are a few mondesi cards from 2000 that could fit into this post, actually. 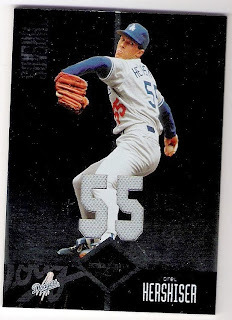 hill had three at bats as a dodger before they traded him to arizona in 2004. this card is awesome because it's from 2005, and still features a photo of hill in dodger gear, even though all of his big league appearances in 2004 came as a member of the diamondbacks. 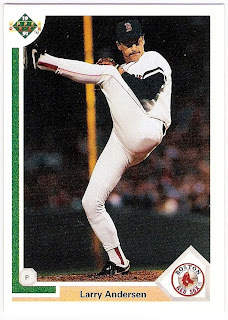 i know there are a lot more of these types of cards, and i will continue to enjoy stumbling across them any way i can. 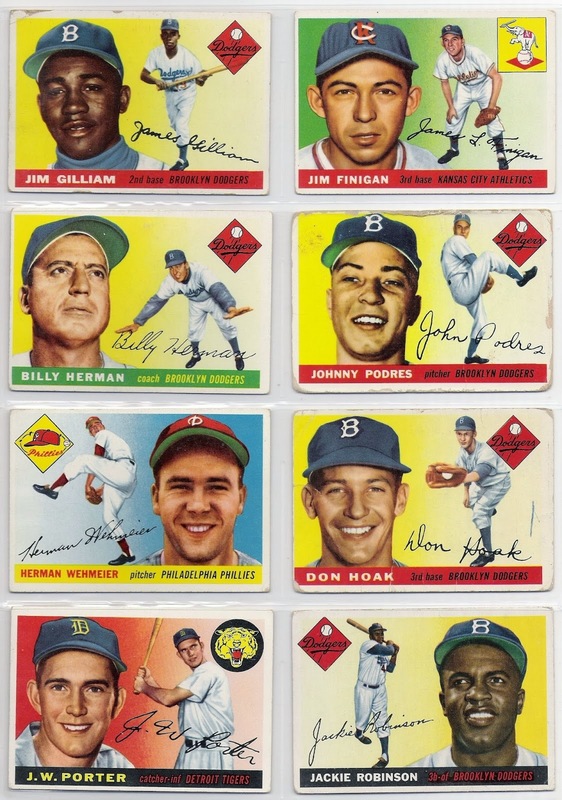 the 1955 topps set is the first horizontal set put out by topps, and their competitor bowman also had a fully horizontal set in 1955. strange how things like that happen. 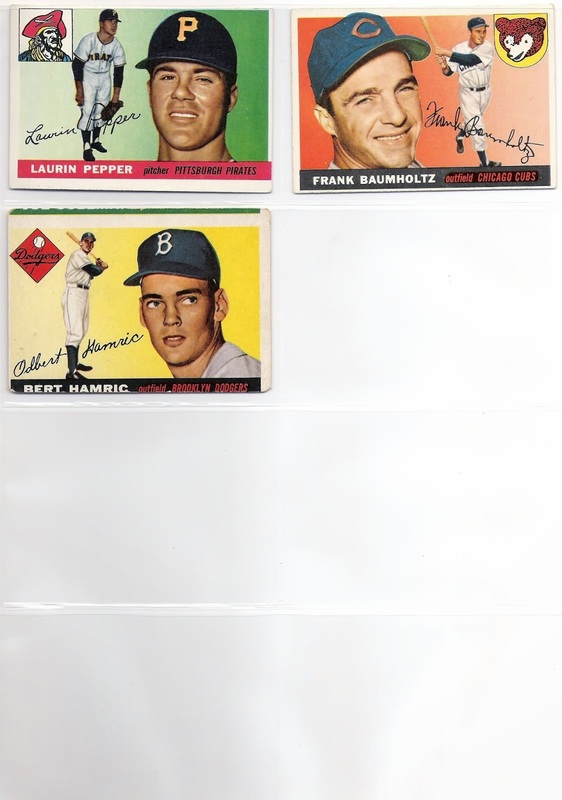 anyway, i put together a sampler set of the topps set. 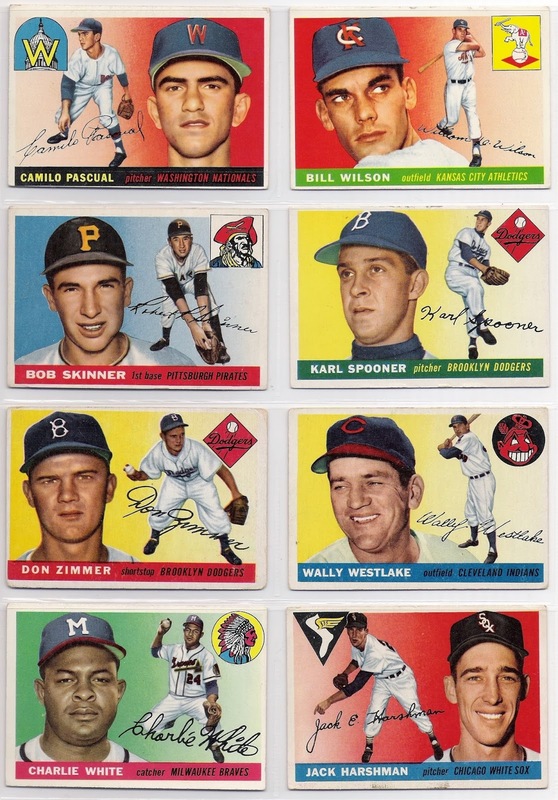 for 1955, that means at least one card from each of the 16 teams, and at least one card featuring each of the different colored backgrounds - red, orange, yellow, green, and blue. there were no subsets in 1955 to worry about. 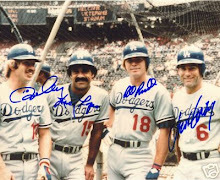 some nice dodger rookies up there - gilliam, zimmer, koufax. now here's a look at the backs - all oriented in the same direction, which is nice. 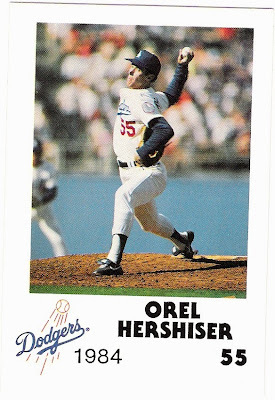 it's now been over 25 years since orel hershiser dominated the national league over the last few weeks of the 1988 season. this is the newest hershiser card to join my collection, and it's one that i have coveted for quite a while. 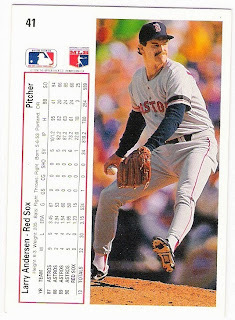 i think for a while, that card was marketed as a pre-rookie. i know i was happy to have the card and the rest of the sga set in my collection. 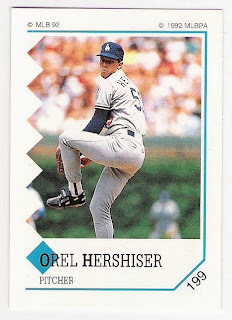 that upper deck card is one of my favorites of hershiser. 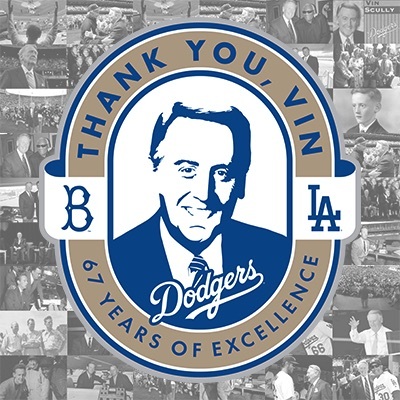 it marked his return to dodger blue after stops in cleveland, san francisco, and new york. 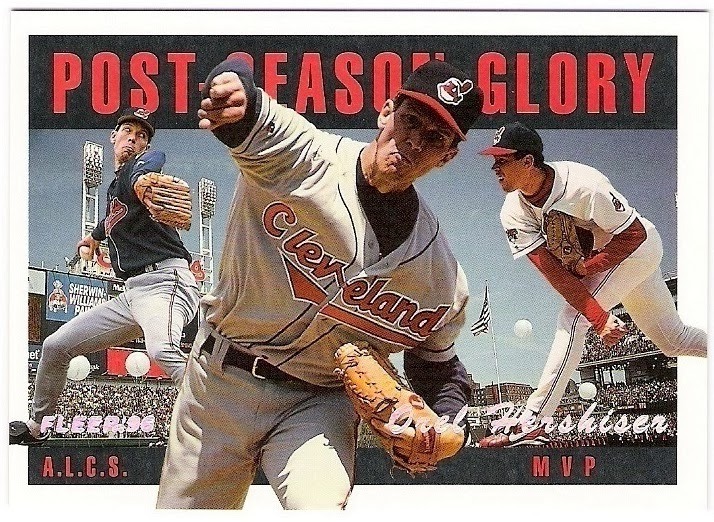 which explains his postseason prowess. 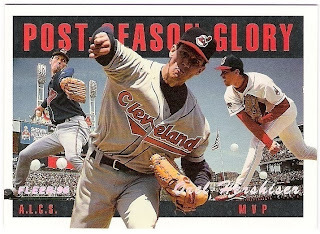 he won championship series mvp awards in both the nl and al, but his luck started to run out in the 1995 world series when he suffered his first postseason loss in game 1. he did return to win game 5, however. 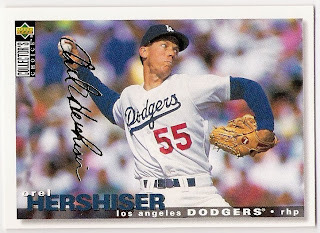 real hershiser autos seem to hold a premium in the secondary market. i did find a card with a low ($10 or so) bin on ebay about a year ago, and jumped on it even though it was a sticker auto. it's from 2001 donruss signature series. 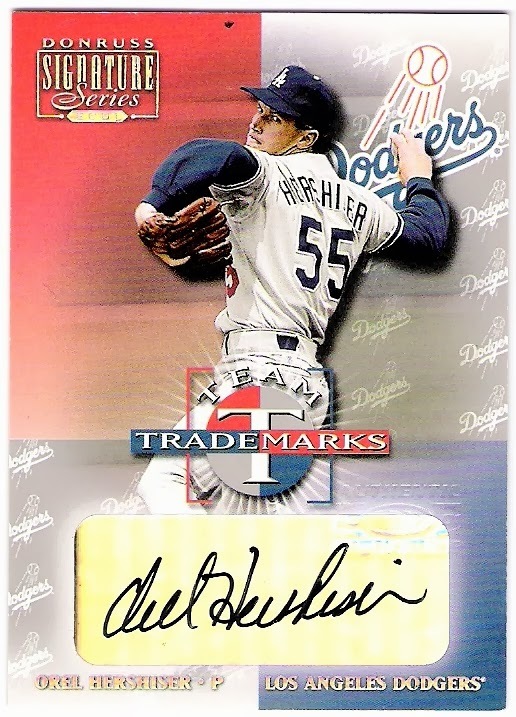 then i finally found that 2004 topps all-time fan favorites auto with a low opening bid, and i was eventually able to get it for less than the bin prices i had seen before. it's fantastic. 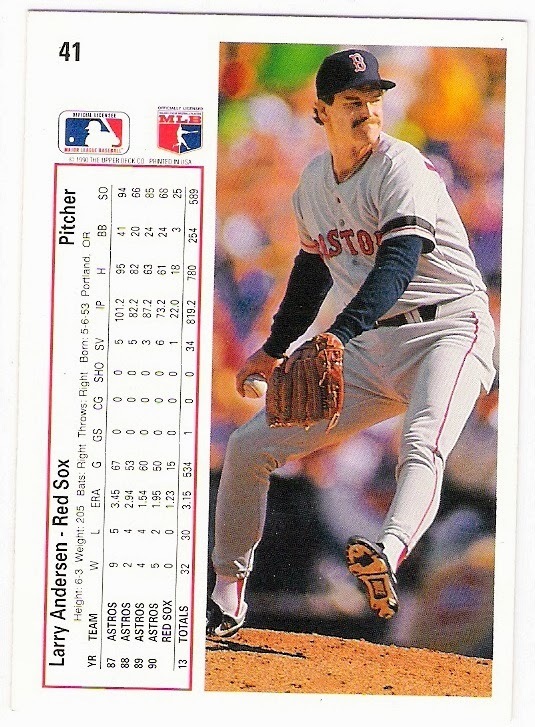 just like his 1988 season was. yes, i know that the term 'walk-off' refers to the other team. 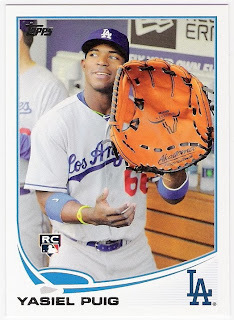 anyway, that was one of three puig super short prints in update last year. more on that later. 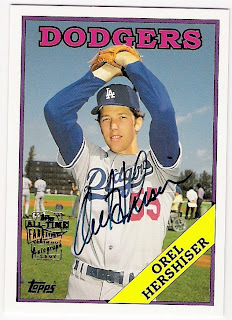 to go along with his regular base and rookie debut cards as mentioned earlier. 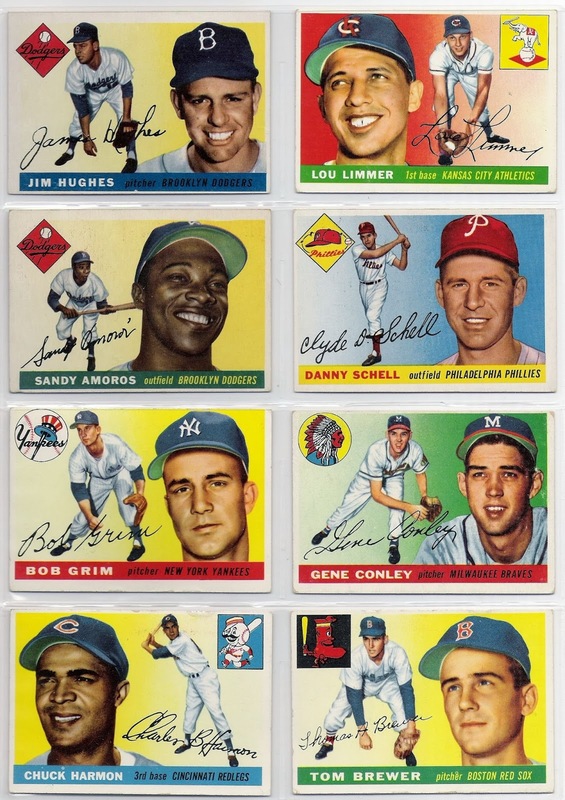 you may have noticed that those four cards shown there feature pretty much the same type of photo. 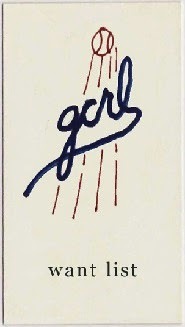 here's one of the two for sure super short prints. 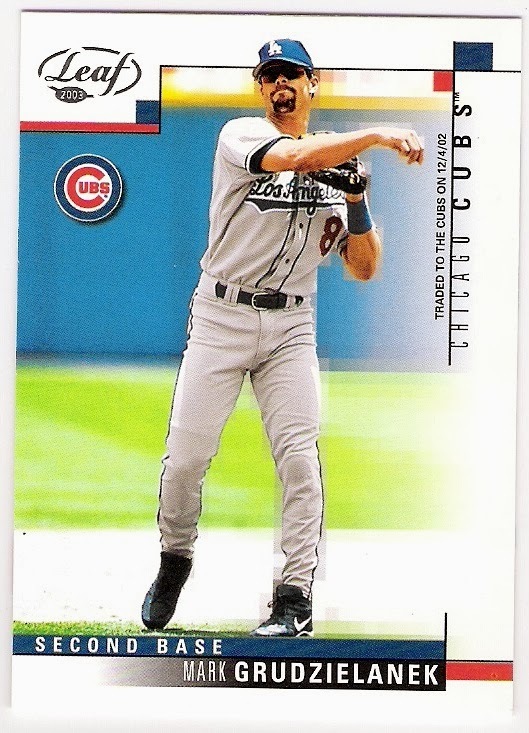 although i like the sliding card up top better, this one with his arms raised is pretty good, too. 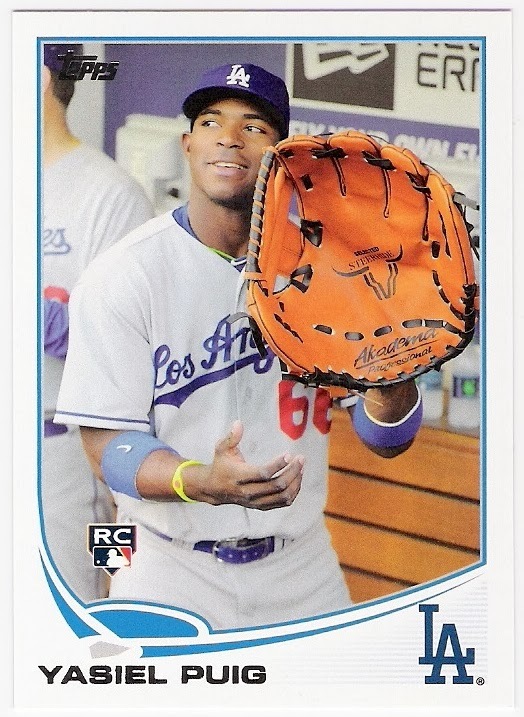 so that was puig in last year's update. 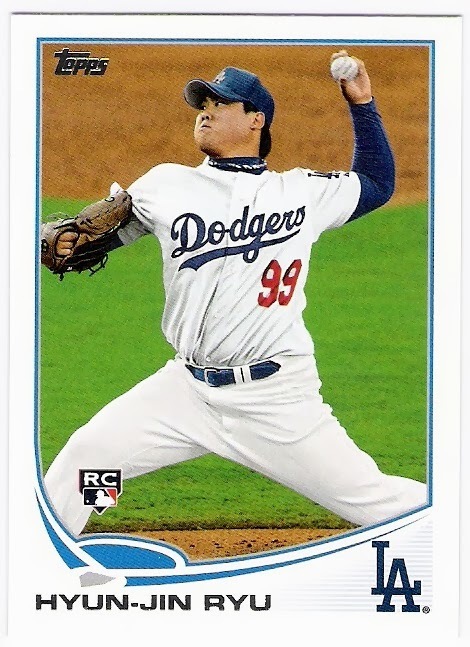 there were a lot of cards, but at least they were all update cards. 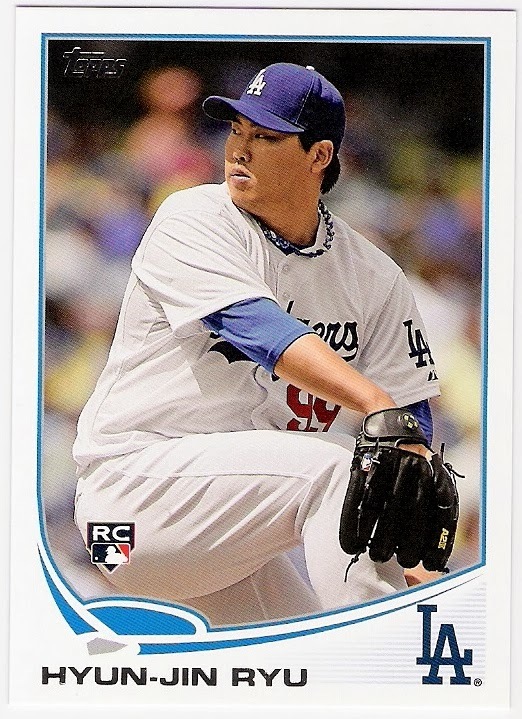 that wasn't the case with hyun-jin ryu, as we'll see in a moment. had topps followed the same model for that card as they did for the puig/kemp card, clayton kershaw would have been featured. 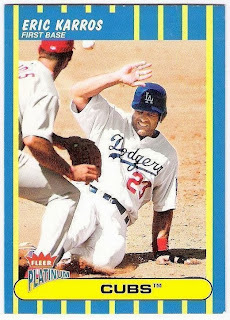 and, if they had done the puig card like this one, we would have seen duke snider, i suppose. 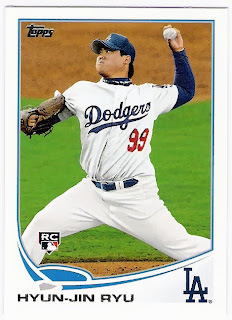 so far, not so crazy, although it's just a bunch of cards showing ryu pitching. this next card is thankfully different, and it was also found in update packs, but it is a short print and is numbered 661.
same goes for this short print. found in update packs, but listed as number 661. that means that the two short prints are actually short prints to the flagship set, not the update set. that is ridiculous. also numbered as 661 in the set. 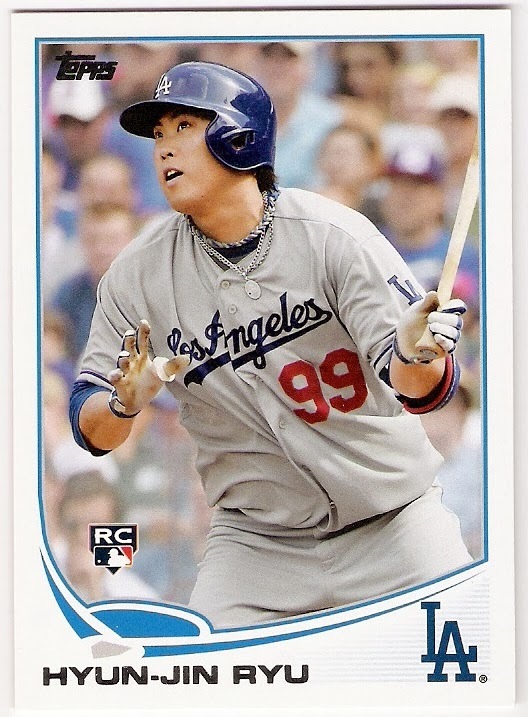 i understand that there is an explosion of short prints in 2014 topps as well, but i am not pursuing any of them this year. not yet, anyway. 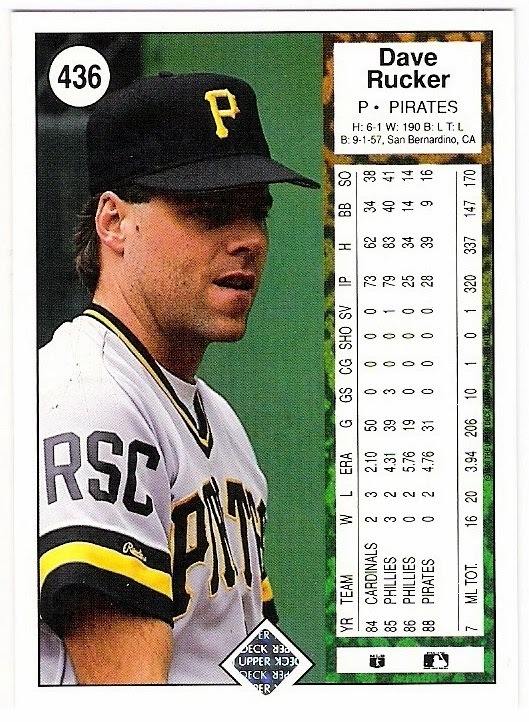 a couple of months ago, i wrote a post about the memorial patches that the pirates wore for their late mayor, bob o'connor. today's post is about one of his predecessors, richard s. caliguiri. 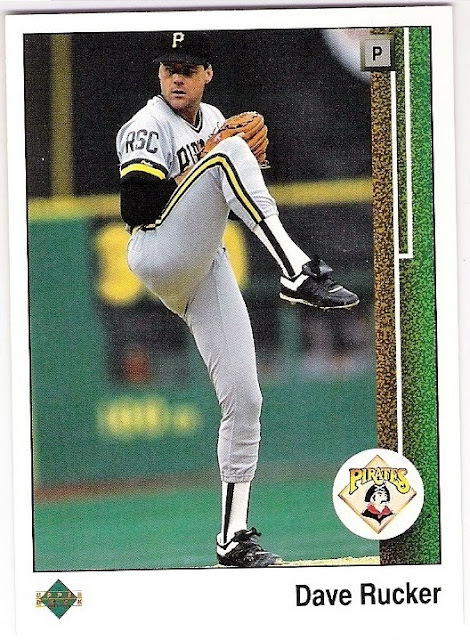 caliguiri became mayor of pittsburgh in 1977 and was serving his third term when he died from amyloidosis on may 6, 1988.
unfortunately, much of caliguiri's term coincided with the decline of the steel industry, but he did get to witness a pirates' world championship in 1979, so he had that going for him. 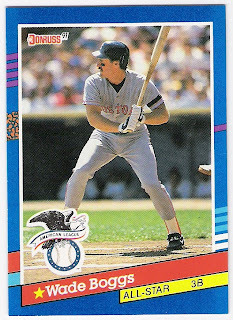 former red sox outfielder tony conigliaro was a local boy made good. 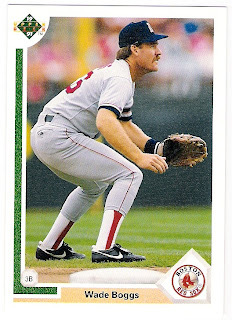 he was born and raised in massachusetts, and in 1964, at the age of 19, he was playing for the red sox. he set a teenager home run record that year with 24, and would reach 100 career home runs at a younger age than any other american league player in history. 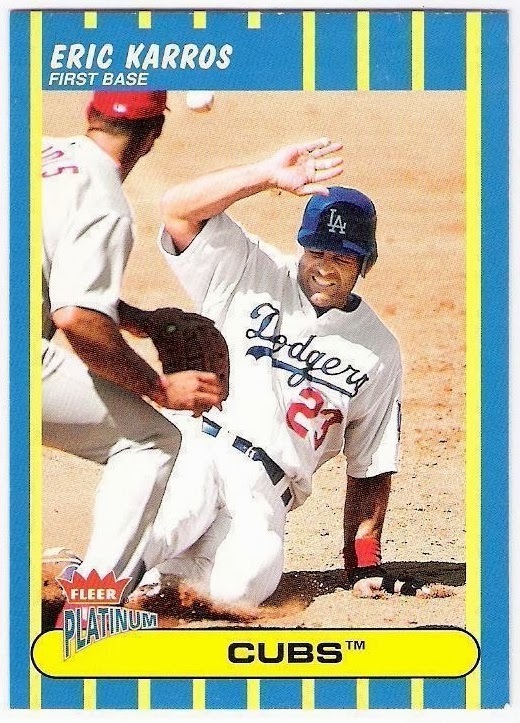 the only person younger than tony c to have done so was mel ott. 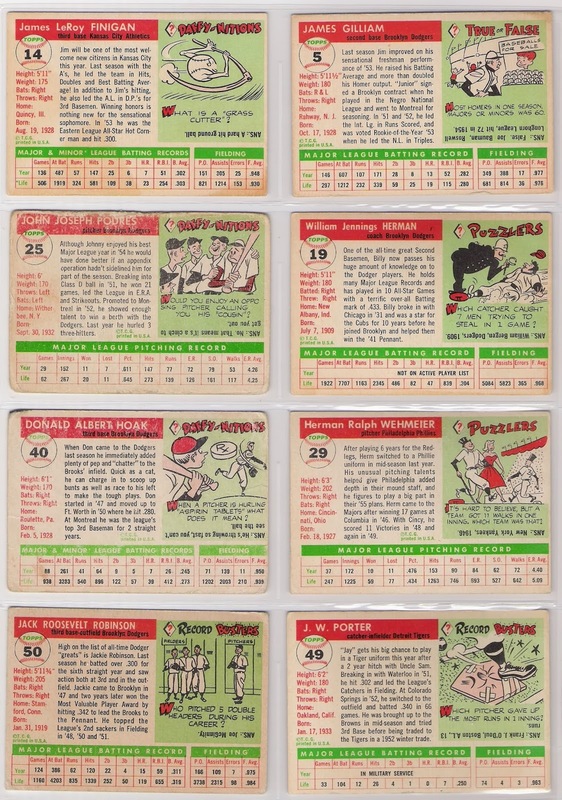 he was also the youngest player (20 years old) to lead the league in home runs when he hit 32 to pace the al in 1965.
conigliaro suffered a horrific beaning in august of 1967 that damaged his left eye. he missed not only the remainder of the season, but the entire 1968 season as well. 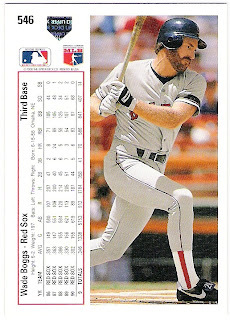 remarkably, he was able to return to the majors in 1969 and hit 20 home runs, earning comeback player of the year honors. 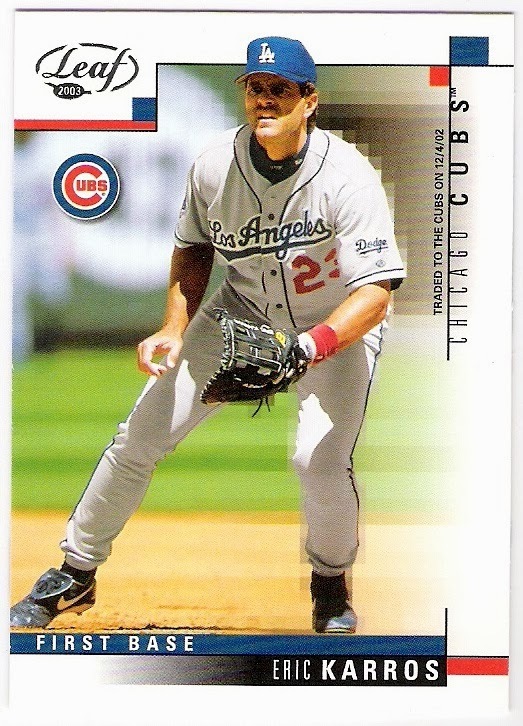 the following season, he hit a career high 36 homers, but was traded to the angels after the season ended. 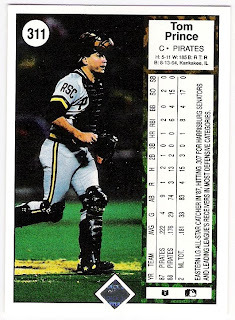 his injury caught up to him in 1971, as he hit only .222 with a mere 4 home runs that year. the angels held on to him though, hoping that he would return to form, but he never did appear in the majors for them after 1971. after the halos finally released him in 1974, he returned to the red sox for one last try in 1975. after hitting just .123 with 2 homers, the red sox released conigliaro in september. in 1982, conigliaro suffered a heart attack and later a stroke, and spent the next 8 years in a persistent vegetative state until his death in february of 1990, 24 years ago today. 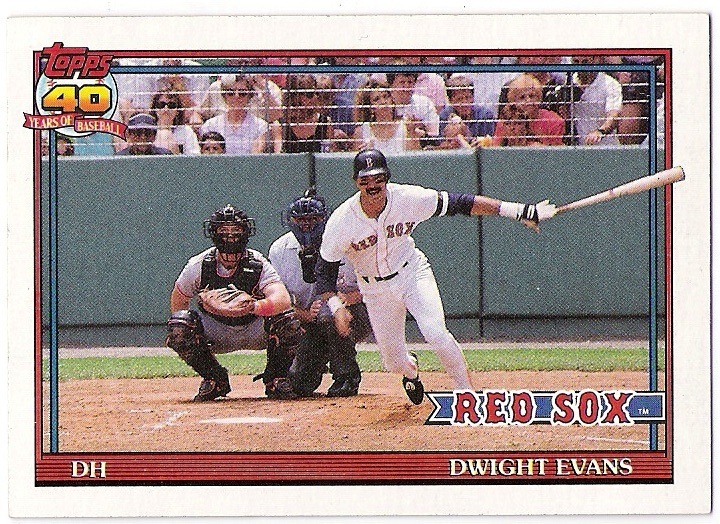 but then i remembered dwight evans' 1991 topps card. 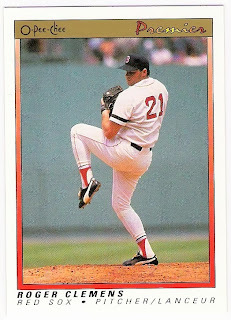 it is worth noting that conigliaro's 'most similar by ages' players listed on baseball reference include mickey mantle and frank robinson for his second and third seasons. bryce harper is the most similar for his rookie season, but mantle was the comp before harper came along. 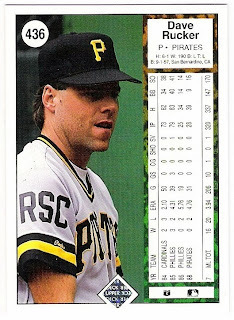 tony c was the real deal.